After implementation, the success of the following two projects could yield a more robust SAEA program that focuses on sustainable agriculture in Syria. An effective and efficient aquaponics and quail farming model can be replicated on a more widespread basis in Syria where there are shortages in food security. These are small local projects that contribute to SAEA’s broader vision for development in Syria as they both create small local systems for self-sufficiency. 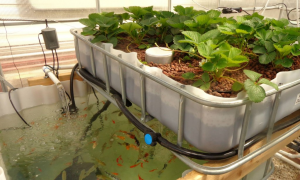 Aquaponics offers an alternative agriculture method that involves planting in a soilless way while conserving energy and water, and ultimately generating a consistent supply of vegetables and fish. Aquaponic systems thrive in controlled, closed off areas like homes, warehouses, schools and basements, making them ideal for individual residences and neighborhoods in Syria. It is a sustainable system that secures access to a food source and provides an opportunity for long term development and the economic self-sufficiency of local families through the sales of the produced goods. Quail farming offers an opportunity to secure economic and nutritional benefits in Syrian towns. This project not only creates immediate impact by supplying locals with quail meat and eggs, but it also has more long term economic impact. 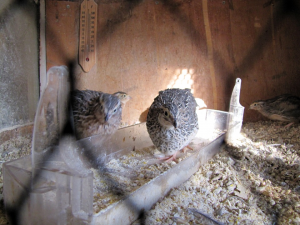 Quails breed and lay eggs very quickly and are more efficient in comparison to chickens. Ultimately, the sales of products including meat, eggs will be more rapid, making this an income-generating project that is profitable in a shorter period of time.